If you live in Manhattan you know how limited yard space in the borough can be, so those of you have are lucky enough to have a small yard space want to keep that space looking it best and want to keep it functional for those backyard cookouts and entertaining, which means that you are likely to spend some time doing yard clean up especially in the spring and the fall. However, once you finish cleaning up that yard, you will have bags of leaves, branches from trimmed bushes and trees, and perhaps even trees that have died and needed to be removed. Whether you are a tenant or a landlord cleaning up that Manhattan yard, getting rid of the waste from the yard clean up can pose a real problem. Here at Flat Rate Junk Removal we can remove that yard waste for you. All you need to do is give us a call and arrange a time that is convenient for you to have us come and pick up that yard waste and we will arrive and all you have to do is point out what you you need to have removed and we will pick up that yard waste and dispose of it for you. No matter how little or how much waste you have we take care it of it for you. If you are cleaning up your yard as part of your spring or fall cleaning and have junk from the inside of your home you want to have removed as well we can take care of all your junk disposal needs for you. Here at Flat Rate junk Removal we have no problem accepting mixed loads so why not get rid of all of your junk along with that yard waste? 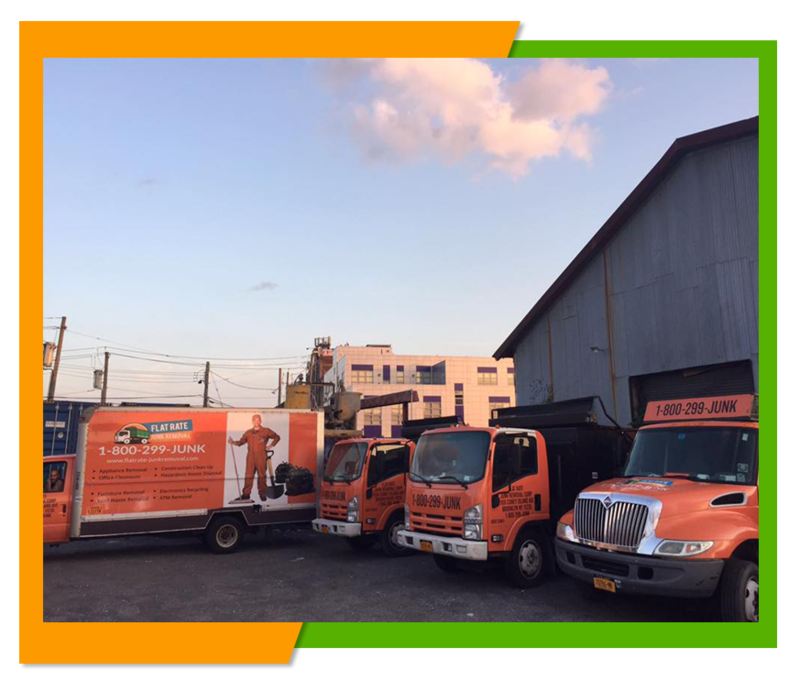 We are more than happy to handle all of your junk removal needs for you saving you time and effort and making get rid of that waste as convenient and easy for you as possible. We provide all of our customers with prompt junk removal services at a great rate because we charge a flat rate for our services. Our customers convenience and satisfaction is our number one priority and we do everything we can to provide you with the highest quality junk removal services possible. Our two man crews are friendly, reliable, and convenient service. They do all the heavy lifting for you and all you have to do is point out the junk you want carted away. Why not take some time and browse our website here at www.flatrate-junkremoval.com and see what other junk removal services we have to offer. If you would like a free estimate for having that yard waste removed or an appointment to have us remove your yard waste give us a call at 1-800-299-5865 and we will be happy to serve you.